February, aka the shortest month of the year is gone. Finally Spring is here. The start of March makes me so nervous but so excited: in almost exactly a month today I'm heading out to Florida. The holiday panic is nigh: I have a buttload of money I need to make and save and a buttload of exercise to do to make sure I don't end up as exhausted as I always am whilst I'm away. So, what did February hold for me? In blogging terms it's the first month in which I've achieved all of my social media follow goals across board, which has given me such a lil confidence boost. It's also a month in which I've been really proud of so much of my content. I've created some important mental health posts, and I've loved everything I've been putting out there. In terms of life, I've undertaken some big changes: I joined a gym! After avoiding this for almost an entire year, it feels so good to be back. I joined a fortnight ago and I've already noticed some massive improvements to my energy levels, so much so that even my work colleagues have noticed. In terms of beauty, I've got some fab picks this month. 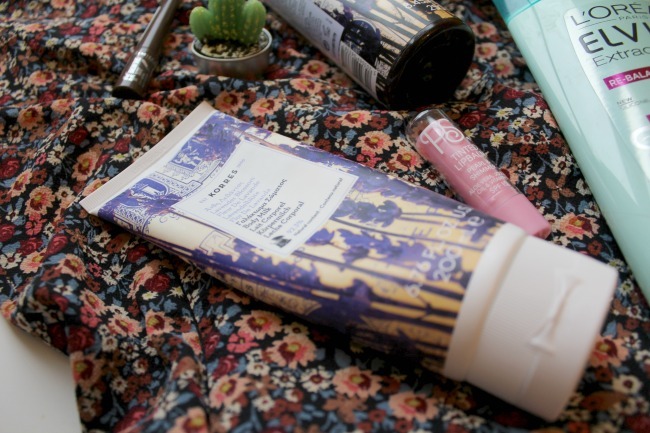 I'm not going to go into too much detail about my love for Korres' new lavender blossom range*, as I've got a whole post on it here. Lavender is my favourite scent, and this one has a sweet kick to it too, I'm obsessed. I've got the body milk and shower gel, and both have almost run out *weeps*. 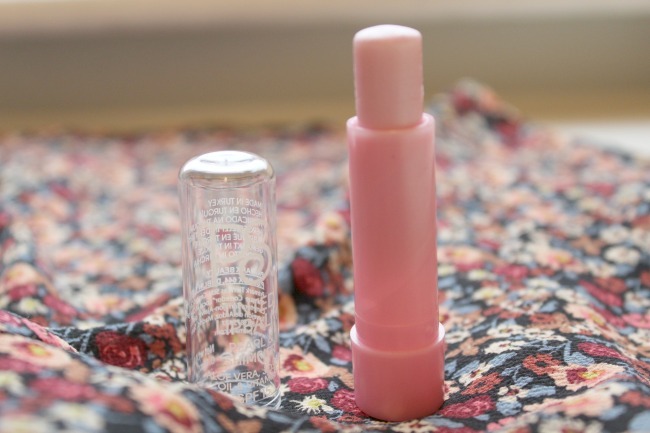 Next up is a Primark beauty pick - strange I know! My lips have been hella chapped this month, and lip balm has become my best friend. I haven't quite got to the stage of having one in every bag yet, so when I realised I was lacking on the way to work one day, I popped into Primark and came out with their own brand lip balm. This is their pearl and shimmer balm. It contains aloe vera, jojoba oil and is SPF15. The best thing about it? The smell. It smells like strawberries and bubblegum and cherry drops and all things sweet, mmmm. Rimmel's new Brow This Way powder* has also been a big hit for me this month. I wear the shade dark brown and it matches my natural brow colour really well. It's a lot easier to apply than wax brow colour, or pomades in my opinion, and as such is something I've been reaching for for a quick fix in the mornings. I'm also hosting a twitter giveaway at the moment in which you can win this brow powder in your shade: check it out here. My final beauty pick of the month is L'Oreal's Extraordinary Clay shampoo. I have really oily hair, but also colour it, which means it's oily at the roots and dry at the ends all the damn time. I usually switch between drying shampoos and oily ones, and (obviously) neither really work for me. This one however, tackles all of my problems: it targets oily roots and dry ends and has been doing wonders for my hair. 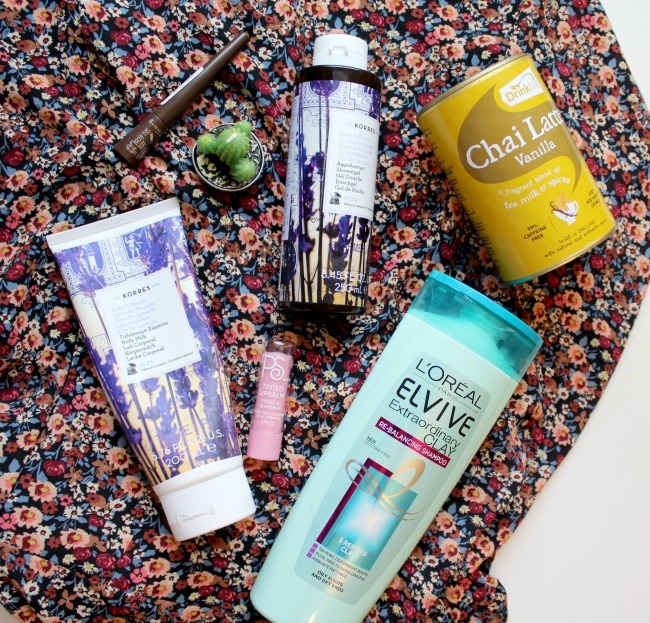 I've been combining it with L'Oreal's Colour Protect conditioner to ensure that my hair is kept hydrated, but I really want to try out more of L'Oreal's clay range now! 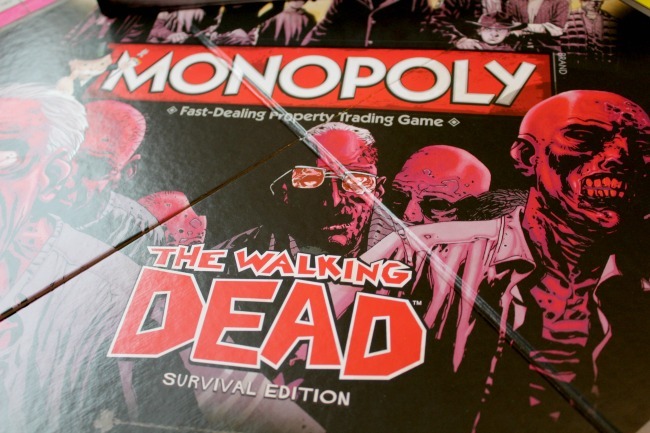 If you're a Walking Dead fan, then you'll be as excited about this as me! Me and my boyfriend are board game hoarders. We've got everything: classics, drinking games, new favourites and ones that test your brain. 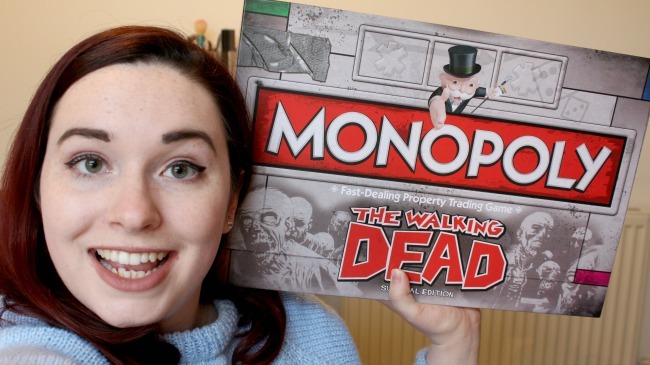 When we found out that there was a The Walking Dead Monopoly we had to get it, because priorities, right? 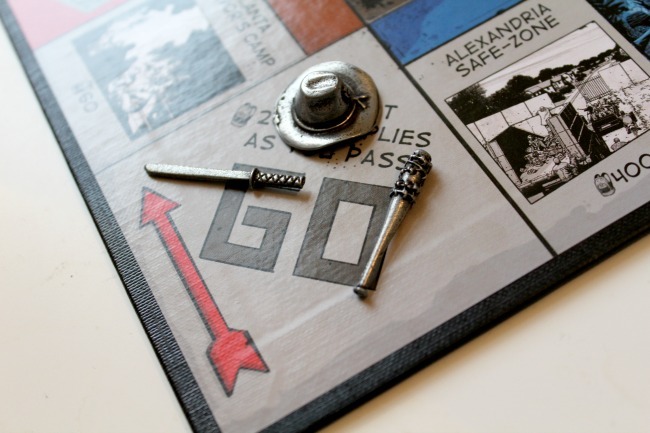 I was concerned that it'd be really outdated as far as the series' go, but one of the moving pieces is Lucille. if you know what that is, then you'll know how up to date it is! We've played it a few times so far and I can't wait to bring it out when we have a big group of friends over. 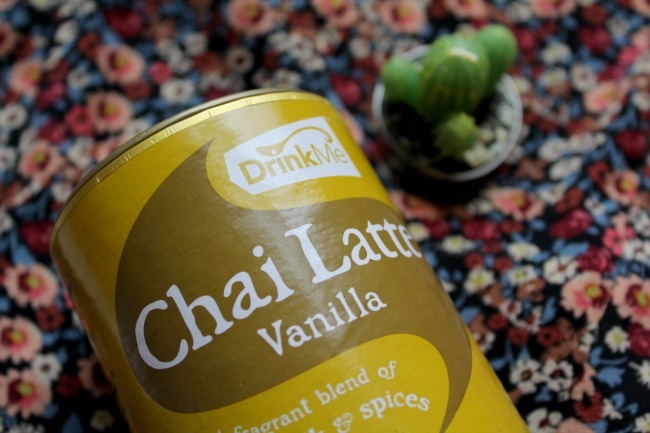 My last, but definitely not least favourite of the month is Drink Me's Vanilla Chai Latte*. I've never tried anything like this before, and I was a bit wary to have a go at spiced tea. But I fell in love with the first cup. For real. Although this was sent to me by the brand, I was so sceptical about it, and prepared to hate it, but it's becoming my favourite drink. It's so comforting to have on a rainy day, and when I'm feeling sad it warms me up inside. It's like nothing I've ever tasted but oh my word, when I reach the end of this tub it'll have to be a repurchase! Extraordinary clay shampoo and conditioner are my favorite!!! 💛 couldn't live without them. I seriously underestimated the shampoo before trying it - I want to try more of the range now! I get what you mean about them being heavy, though my hair is quite thick so it doesn't feel too bad. The brow powder is awesome, I love it! I LOVE Primark. The vanilla was so nice, but you'll only like it if you have a really sweet tooth!